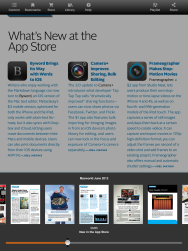 At Macworld, we make our content available in a variety of digital formats. There is, of course, our website itself, as well as our Macworld Daily Reader app, which provides daily news and special exclusive features on the iPad. 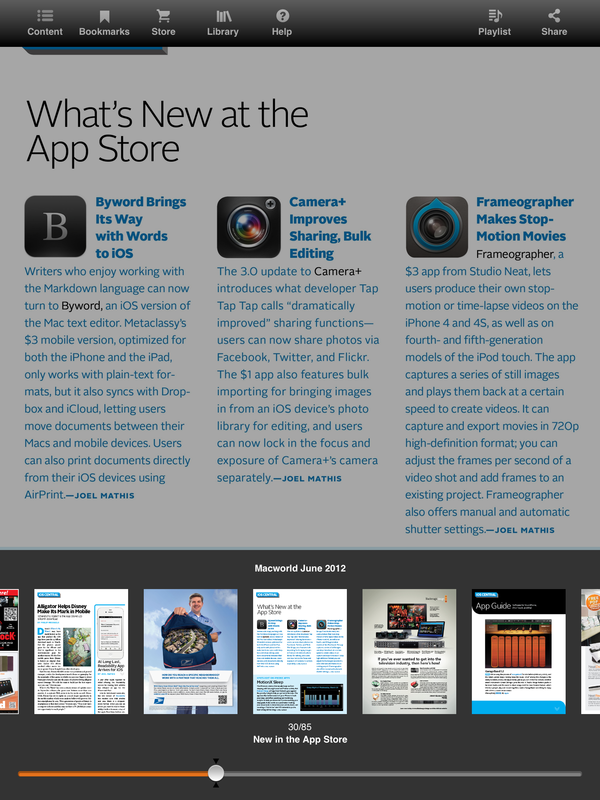 But we also make digital editions of our print magazine available on the Kindle, Nook, and via Zinio. Those digital editions are, for the most part, straight replicas of the magazine. But we realized that there was more we could do with that print content when we migrated it to digital form. 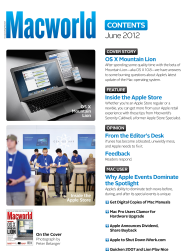 Which is why we created the Macworld Digital Magazine Enhanced iPad Edition. That enhanced edition is optimized specifically for the latest generation of iPads and their high-res Retina display screens. We augment stories with relevant video clips, slideshows, and other multimedia elements that we can't include in print. 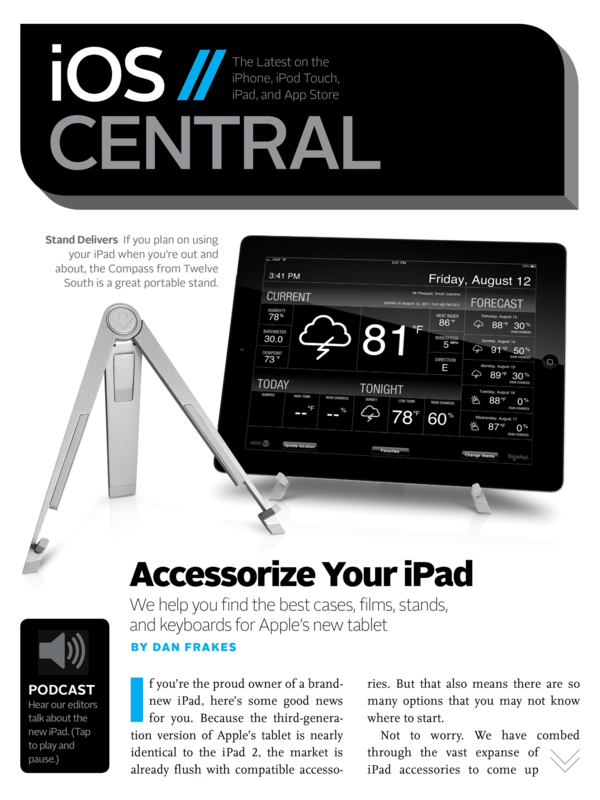 We take advantage of the iPad touch-interface: You can swipe from article to article, and the table of contents is fully interactive. We embed links in stories to reviews of the products we mention and to other online content. And the app enables you to bookmark stories you want to refer to later and to share them via Twitter and email. 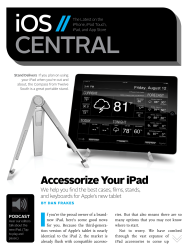 The Enhanced iPad Edition is available through the iPad Newsstand for $1.99 per issue (as a recurring monthly subscription) or $6.99 each (if you buy one issue at a time). But right now, for a limited time, we're making that digital edition available to print subscribers for free.